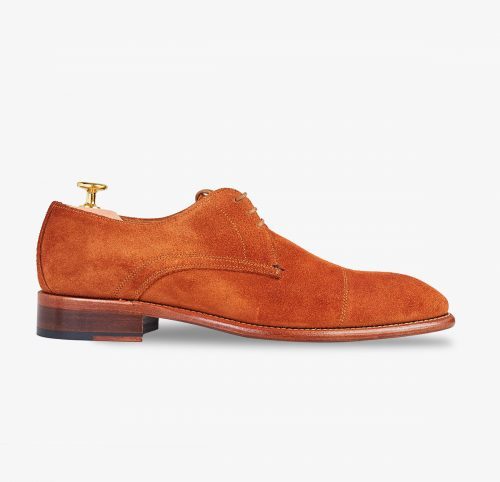 Classic Blucher shoe with straight toe in brandy-coloured suede. Mixed leather and rubber sole for practicality and durability. A creation that offers superior comfort and exquisite design. Handmade with Goodyear Welted stitching. 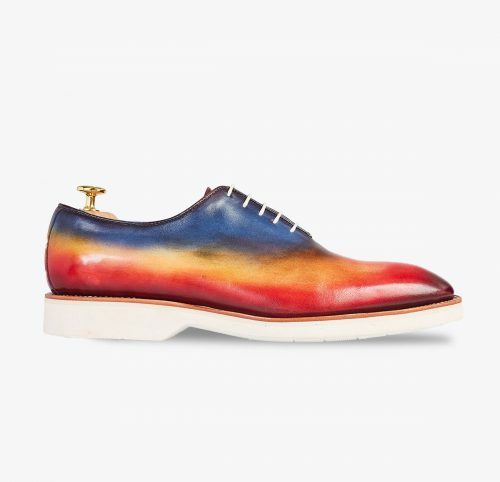 Exclusive laced shoe, Oxford style, made from one piece of hand-painted bovine leather using an elaborate hand-painting technique and bright colours. Finished with a white light anti-slip rubber sole that provides superior comfort. Stylish shoes with character and personality. You can personalise this shoe by selecting different colours and sole types. 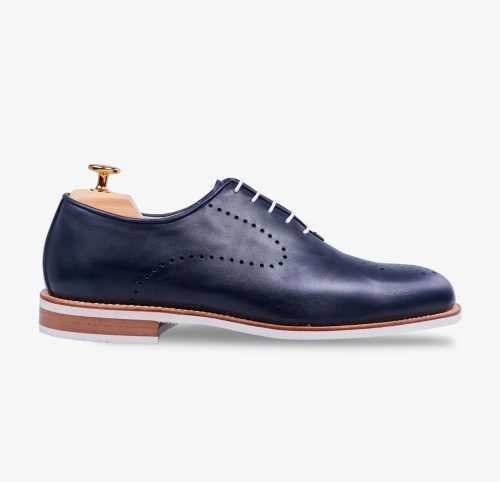 Classic Oxford or English shoe, blue vegetable tanned full-grain leather. Finished with a leather and rubber sole for greater comfort and with black bovine leather lining. One-piece shoe made of blue vegetable tanned full-grain leather. Lined with white bovine leather. One-piece shoe made of pearl grey vegetable tanned full-grain leather. With a straight, perforated toe section, it presents a refined detail. The perfect shoe for a unique, elegant and casual style. Black calf leather Derby shoe with straight toe. Finished with a mixed leather and rubber sole for greater practicality and durability. 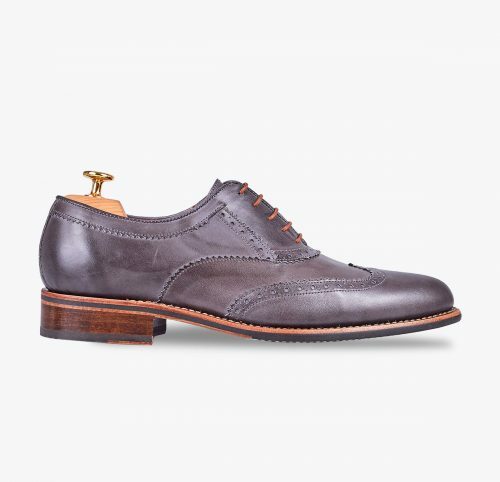 Classic Wingtip Oxford style shoe, made of grey pearl vegetable tanned leather. Finished with a leather and rubber sole for greater comfort and durability. 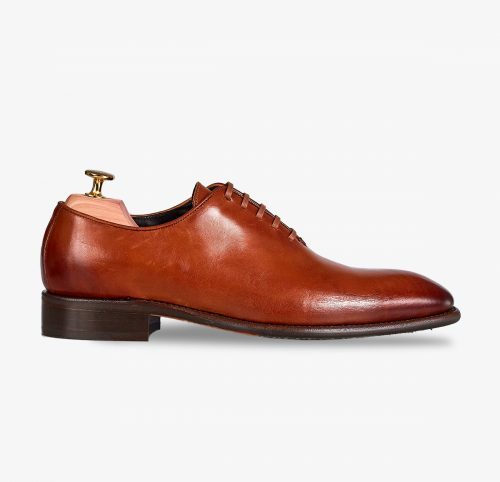 The perfect shoe for an elegant and casual style. Classic Wingtip Oxford brogue, vegetable tanned leather combining beige and tan leather. Finished with a leather and rubber sole for greater comfort, and with brown bovine leather.